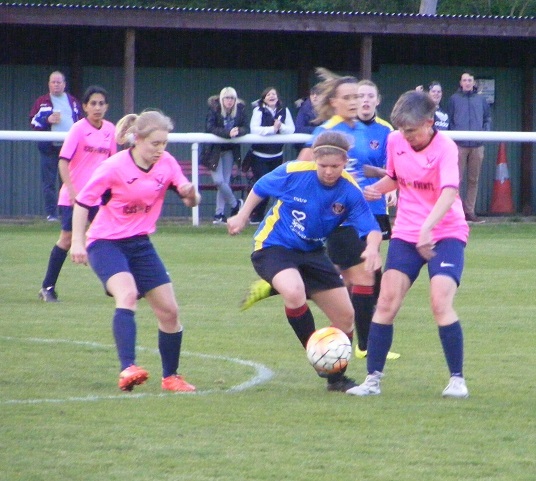 Semi-final action today on Women’s Football East a trip to Cambridgeshire to watch Fulbourn Institute Bluebirds take on Wisbech Town Ladies for a place in the Division One Cup Final. 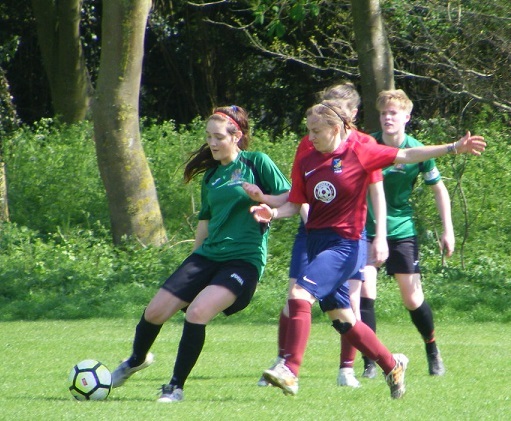 Wisbech Town Ladies topped Group C also with 3 wins from 3 over Hungate Rovers Ladies, Wisbech St Mary Ladies an Orton Rangers Ladies. Are currently in 3rd spot in the Championship North a competitive tussle at the top of the table. Ketton Ladies currently enjoying a 10 point lead the sides below all have games in hand however. Wisbech Town with 3 games in hand are 12 points behind Ketton. A busy end to the season their squad pushed to the limit with players unavailable and out through injury. An opportunity to compete for silverware both Fulbourn and Wisbech Town have a prolific striker in their side this season. 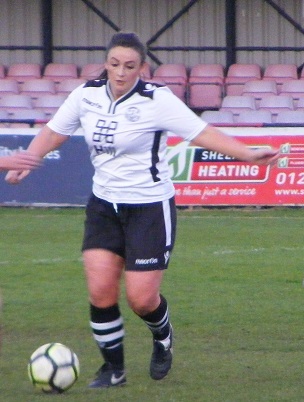 Scoring plenty of goals, Marie Stubbings has 38 goals so far this season from 16 appearances. 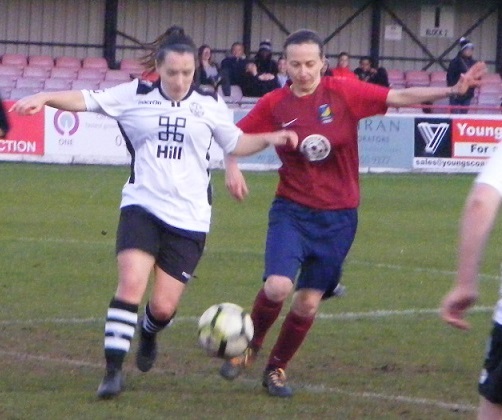 Whilst for Sophie Gutteridge for Wisbech Town has 36 goals to her name from 17 appearances to date. Both are playing this afternoon. 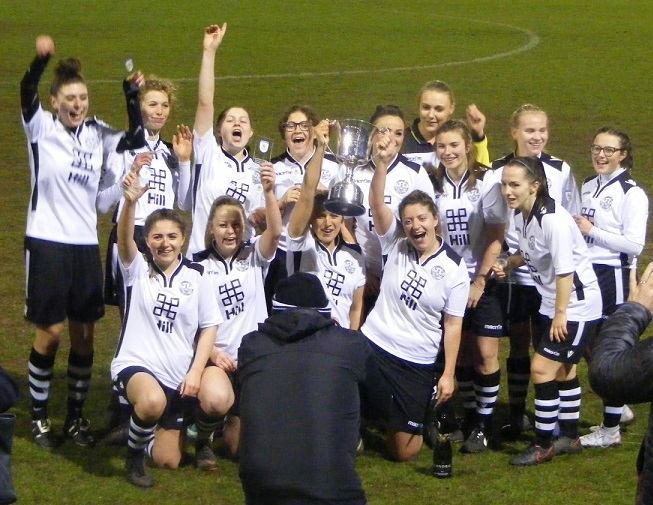 Already through to the Division One Cup Final are Histon Ladies Reserves after the Championship South side won a nine goal thriller with Championship North side Riverside Ladies 5-4 last weekend. The venue for today’s match the Fulbourn Recreation Ground a playing field football and cricket with a range of other sports catered for along with the adjoining sports and social club. Glorious weather for the 2nd Sunday running bright and sunny, possible showers later in the afternoon a breeze helping a little to cool things down. 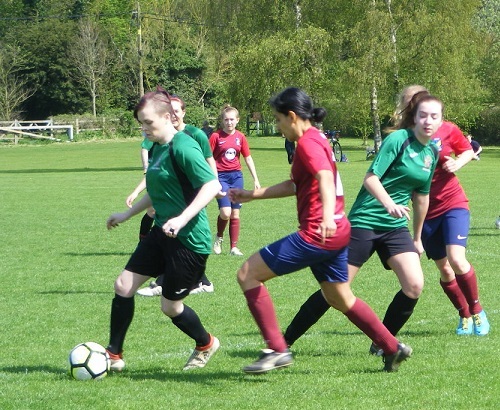 Fulbourn Institute Bluebirds starting XI – Samantha Isaacson (C), Seema Grewal, Abigail Dowell, Sarah Bodger, Nikki Cowan, Amy Smith, Jo Woods, Katie Luddy, Emma Clark, Krissie Taylor & Marie Stubbings. 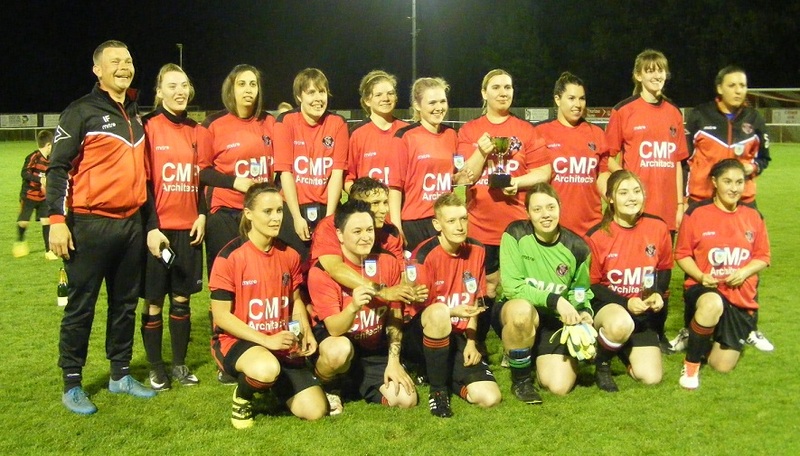 Subs – Sharon Pinner, Vicky Neal, Yasmin Upson and Stacey Kemp. The sun high over head it’s Fulbourn wearing dark red shirts and socks with navy shorts to get the 1st half underway with Wisbech lined up opposite in their away kit, green shirts with black shorts and socks. Wisbech looking to close the ball down right from the start in the middle the ball pops free releasing Krissie Taylor into space down the left a run with the ball shoots from 20 yards out her effort wide of the near post. 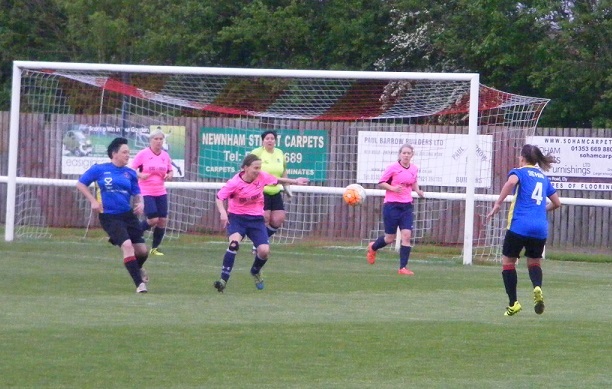 A lively start from Fulbourn getting forwards down the left winning a throw deep the ball comes into Taylor crosses the ball into the area, Wisbech goalkeeper Becky Milner claiming the ball. Chloe Riches takes the ball on through the middle for Wisbech sends the pass on for Sophie Gutteridge the striker playing in Faye Kowalewsky on the right side getting in behind her cross in intercepted by Fulbourn’s Nikki Cowan inside her six yard box knocked up into the air, Wisbech pressure the ball winning the 1st corner kick of the game. The ball in from the right met by Riches on the volley top of the area central can’t keep the ball down the strike sails wide. Kowalewsky bringing the ball on up the right wing for Wisbech plays the pass inside for Riches breaking forwards from midfield looks to play the through ball in behind for Gutteridge to chase, Isaacson is well positioned getting to the edge of her area to slide in a claim the ball at the attackers feet. Fulbourn launch a rapid counter attack the ball brought on by Katie Luddy she releases Taylor on the left her early diagonal ball back into the centre intercepted by Wisbech’s Katie Garner. A corner kick awarded to Wisbech left side players up into the area the delivery in low towards the near post Kowalewsky with the touch puts the ball wide of the post. Chelsea King with the tackle in the middle the ball pushed into Riches played high on for Gutteridge the striker losing sight of the ball for a moment allows Cowan to regain possession for Fulbourn. 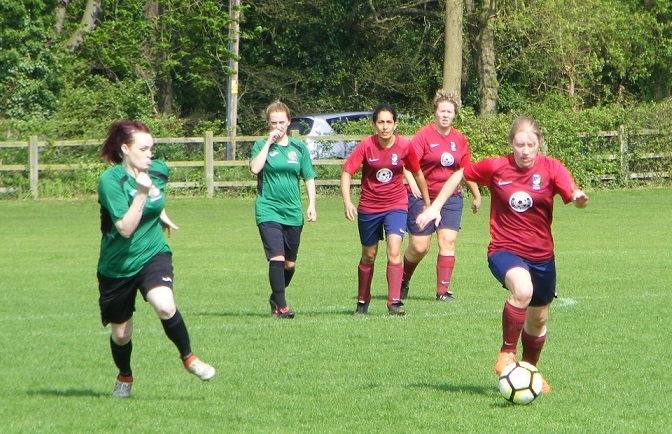 Josie Turner wide left for Wisbech as players are drawn across, her forwards pass central for Gutteridge, Seema Grewal with her wins the challenge for Fulbourn. 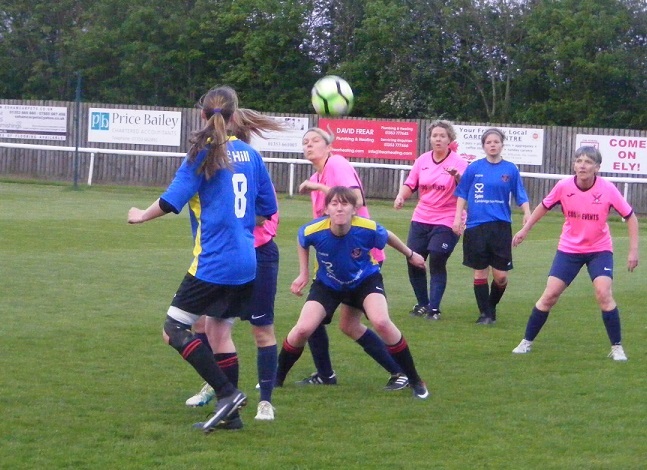 Garner with a vital touch to take the ball away from Marie Stubbings attacking the ball on the right as it is helped on through the middle from a free-kick at the back. The game played at a good tempo both sides attacking Wisbech bringing the ball up the left Turner with the cross into the box for Gutteridge back to goal left side 10 yards out, seeing the ball into her feet a good touch to take it away from her marker and spin in behind closing in on the six yard box as she pulls the trigger Isaacson makes the save a close range the ball off her behind for the corner kick. Kowalewsky stabs the ball wide of the far post as Wisbech pressure the ball from their corner kick preventing Fulbourn getting the ball clear a high ball back into the area knocked on to Kowalewsky, the visitors causing problems for the Fulbourn defence in the opening 20 minutes. GOAL! Wisbech open the scoring 20 minutes played, Gutteridge causing a few problems for the Fulbourn defence pressuring the ball high up the pitch the striker capitalising on some hesitant defending inside the area steals the ball on the penalty spot and shifting the ball to her left slides it wide of Isaacson to score 0-1. 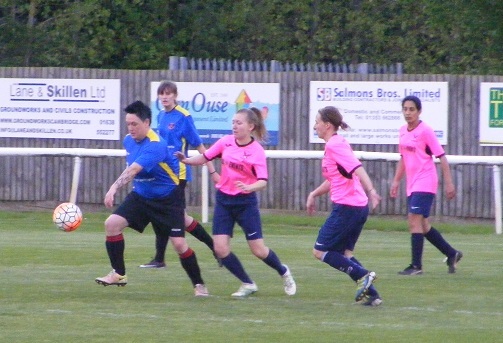 Wisbech Town Ladies, Sophie Gutteridge pictured with Fulbourn’s Seema Grewal scores the opening goal of the tie. Wisbech make a change Amy Hepting coming off at left back a straight swap for Elizabeth Simpson *(not Rachael as 1st listed apologies). Fulbourn go straight on the attack from the restart Emma Clark with the ball out left to Taylor her cross it taken cleanly by Milner. Fulbourn get a corner out of nothing on the right the delivery in towards the near post knocked back to the taker crossed back in Luddy can’t bring it under control near post as Leah Hall comes in to clear for Wisbech. Taylor with another run down the left crosses from a deep position the ball striking the outside of the post. GOAL! The game closing in on the half hour Fulbourn level the scores Stubbings catching Wisbech in possession on the right steals the ball and burst forwards down the right channel closing in on the byline cuts a high cross back across the face of goal a awkward one to deal with defenders trying to get back Milner can’t reach it as Taylor close in stoops her head onto the falling ball an puts it over the line from close range 1-1. A hot day a drinks break is called a chance for everyone to take on fluids. Play resumes Kowalewsky seeing a cross go wide as she runs clear from a Stephenson clearance at the back for Wisbech. Jo Woods with the tackle the ball on for Clark takes in on through the middle, shifts it into Taylor breaking away on the left then continues her run through the centre Taylor crossing the ball in Garner with a touch deflects the ball out of the area straight to Clark tries to adjust her body as she meets the ball on the volley can’t keep her attempt down. 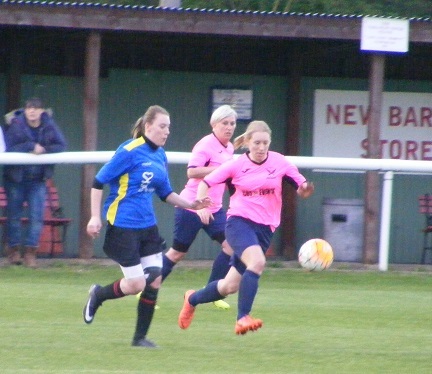 Fulbourn makes a change, Abigail Dowell coming off for Sharon Pinner. 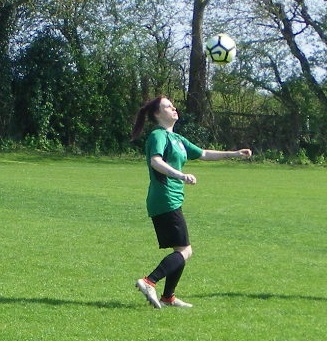 Stubbings alert through the middle nips in to rob the ball as Wisbech hesitate at the back neither defence or goalkeeper laying claim to the ball, Stubbings knocking it on past everyone moving left strikes the ball her her low drive narrowly wide of the near post. A second change for Fulbourn Cowan the player off, Stacey Kemp coming on. 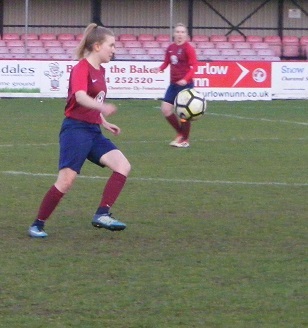 The substitute involved straight away the ball rolled into her inside the Wisbech area knocks it to Stubbings close by on her right, Stephenson with a good tackle to deny her a shot on goal. 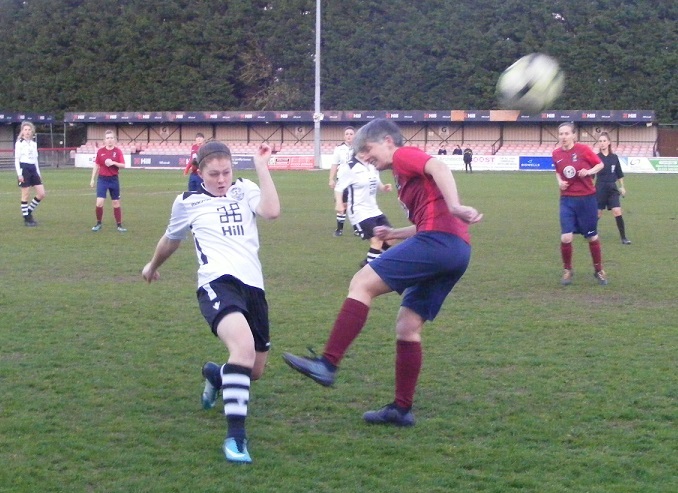 Sarah Bodger defends well up against Turner as the Wisbech attacker tried to get into the box with the ball from the left. Fulbourn make a 3rd change bringing on Yasmin Upson for Luddy the home sides confidence up a notch since their equaliser. Gutteridge pressing the ball high up the pitch gets it out to Kowalewsky on the right her looping cross back in towards the top of the area Riches can’t bring it down under control help it on with Turner free to her left. GOAL! 5 minutes or so left in the 1st half Fulbourn are attacking the ball wide on the right Garner blocking Upson’s cross in the ball out for a throw-in. The ball played into Stubbings top of the area on the right catches the ball sweetly on the volley sending the ball arrowing over the goalkeeper into the top corner to make it 2-1. Wisbech make a change after the goal Hepting returning to the action Simpson off. Fulbourn push forwards in the closing minutes of the 1st half Kemp taken out as she comes forwards with the ball. The free-kick in a central position Bodger on it goes for goal straight at Milner the Wisbech keeper palming the ball away to the right of goal, Upson quickest to it her snap shot sent wide of the post. A late free-kick for Wisbech inside the Fulbourn half Stephenson to play the ball into the area Kowalewsky knocks it on across the goal, Isaacson gathers for Fulbourn right on the stroke of half-time. A 2-1 lead for Fulbourn at the break an interesting at enjoyable first half. Wisbech starting the brighter, with Riches in the centre and Gutteridge up top causing problems Gutteridge capitalising to open the scoring. Fulbourn getting back on level terms grew in confidence with the goal and a superb strike on the volley from Stubbing seeing them turn things completely around. Another 45 minutes to go and the semi-final is along way from being settled. Wisbech to get the 2nd half started. Kowalewsky from a throw on the right putting an early cross into the area Isaacson can come off her line and claim it before Gutteridge can close it down. Simpson defends well stopping the ball getting beyond her as Fulbourn attack down the left a quick counter attack the pass from Rooks on for Turner breaking on the left for Wisbech, Grewal does enough against her to get the ball back to Isaacson. Turner further up the field central with Gutteridge the two pressure the Fulbourn defence the ball rolled back for Rooks to strike 25 yards out the ball doesn’t trouble Isaacson. 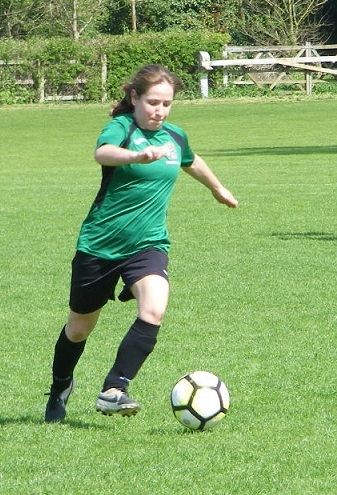 Riches with a strike at goal beats Isaacson however as she lets fly from 30 yards out the ball smashing against the crossbar drops back down into the area, no one attacking it Fulbourn launch it up field. Fulbourn’s turn to attack the ball on the left Upson driving forwards holding off Simpson. Milner coming to the edge of her area looking to gather the ball pulls up suddenly going down in alot of pain. Play goes on Upson pushed wide gets a shot away, Garner back on the cover throwing herself into the block. Play stopped, a Milner in clear discomfort needs treatment. A lengthy pause another injury blow for Wisbech as Milner can’t continue is carried off the pitch. Rachael Simpson getting kitted out ready to take over in goal. Play resumes after a 6 minute delay. Stubbings with support from Kemp on the right the ball into the area cleared by Stephenson. 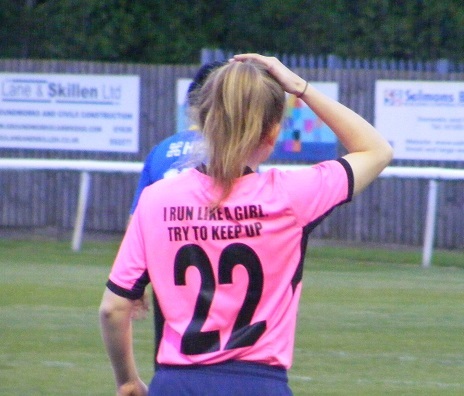 Wisbech’s captain with another great tackle inside the area moments later as Woods plays the ball through to Kemp she picks out Stubbings inside the area right of goal Stephenson times her tackle well knocking the ball against Stubbings and away for the goal kick. Simpson puts her goal kick straight at Kemp, she sends it back in towards goal from 20 yards straight at Simpson as she stops it with her legs on the line. GOAL! Fulbourn extend their lead the ball picked up in the middle by Stubbings after Pinner keeps it alive on the left moving across the pitch carrying the ball over to the left side Stubbings covers alot of grass Pinner breaking forwards through the middle times her run perfectly as the Wisbech defence gets stretched Stubbings putting the ball into the area Pinner’s touch putting her clear on goal she sends her shot wide of the keeper to make it 3-1. Wisbech look for an immediate response Riches with Rooks through the middle out to Kowalewsky on the right her cross swung in towards the near post Isaacson forwards to claim it ahead of Gutteridge. A free-kick inside their own half as Kemp fouls Hall. Stephenson sends it long up towards Kowalewsky right side the ball evading the Fulbourn defence the winger in in through on goal into the area doesn’t shoot early the angle gone puts the ball straight at Isaacson as the keeper defending her near post goes to ground. Woods is covering plenty of ground for Fulbourn in the middle of the park getting across to win possession back Kemp, Upson and Stubbings willing runners ahead of her. Bodger at the back with a vital interception as Turner looks to send a looping ball on for Gutteridge. The visitors with a corner kick on the right played in low towards the near post a scramble the ball half cleared comes to King inside the box her shot charged down. Wisbech revert to 3 at the back as they commit players to attacking roles. 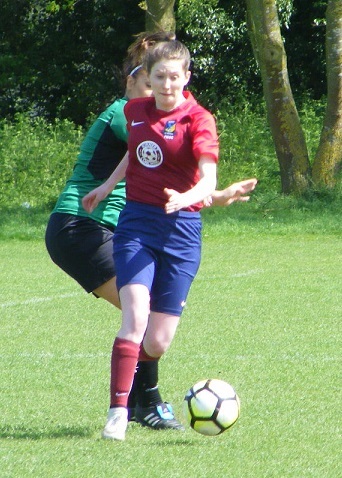 Fulbourn break the ball played into Upson left side she rides a tackle advantage played as she goes on puts the ball into Kemp central 20 yards out slide it into Stubbings on her right her strike hit on the run flashes wide of the post. The home side press the attack Woods coming on up the pitch right side crossed the ball into the middle of the area Stubbing knocking it goalwards the dropping ball cleared off the line away for a corner kick. 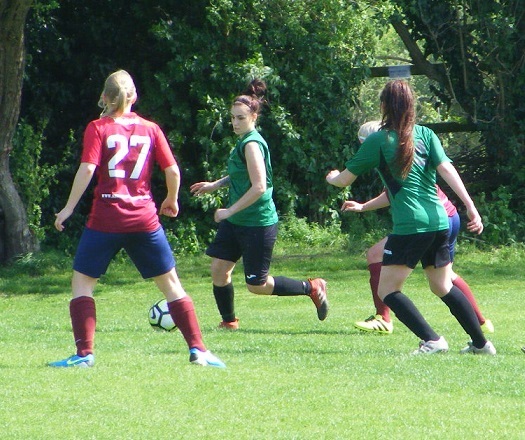 A crude one from Stephenson as she clatters into the corner taker Stubbings as she looks to control the ball cleared out to her a final warning from the referee. 18 minutes left to play including a hefty portion of stoppage time. 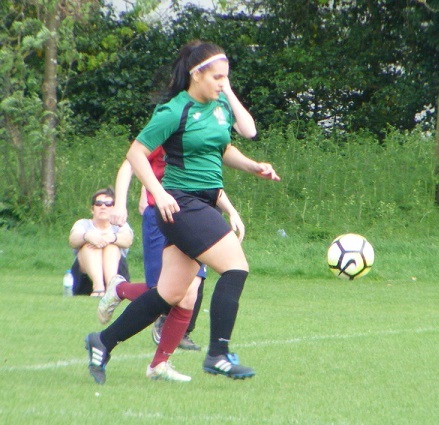 A flowing attacking move by Fulbourn started by Woods bringing the ball with her through the middle passed to Stubbings up with her her pass laid back to Clark put out to Smith on the right her cross into the box finding the head of Kemp the ball directed goalwards claimed by Simpson. A change for Fulbourn Smith taken off Dowell comes back on. GOAL! 15 minutes left on the clock and Wisbech pull a goal back a direct goal as the ball his sent on through the middle from a goal kick at the back Gutteridge lively onto it running clear right of goal Isaacson comes out to the edge of her area trying to close the angle down Gutteridge adjusting well to strike the ball high and lob it over the keeper and into the back of the empty net beyond 3-2. Fulbourn make a change Luddy back on for Upson. Dowell with a shot from distance Simpson right behind it can bring down safely. Play drawn over to the right Turner with Gutteridge as Wisbech press in attack Kowalewsky taking it beyond them the cross fired in towards the near post Rooks trying to get there but not before Isaacson can gather. A free-kick inside the Fulbourn half for Wisbech. A long way from goal but Stephenson takes the shot on the ball past everyone flashes wide of the post players jumping for it a touch could have easily deflected it towards goal. Fulbourn with the substitutes available make another change at the back this time Kemp coming off up front Vicky Neal coming on to join the back line as Fulbourn look to see out the game. Play stretched Woods winning the ball attacks on the left side her cross going long across the Wisbech area to Dowell on the right, puts a flighted ball back in towards the top of the area Luddy with the looping header forwards Clark ahead of her 8 yards out goes to strike the dropping ball, Rooks back to make the block for Wisbech. A corner given Hepting back on for Wisbech. Deep into stoppage time Isaacson with a low take diving to her left as Turner volleys the ball in towards goal from the top of the area receiving it from a throw on the left. Wisbech push on looking for a leveller late on to force the game into extra-time risk being hit on the counter attack. Woods breaking up play in the middle. Stubbings feels the full force of another rash Wisbech block as she attacks on the left a free-kick in a dangerous position outside the area Bodger comes forwards to take her shot bouncing wide across the six yard box and out the far side as the final whistle blows and Fulbourn celebrate as they reach the Division One Cup Final. An entertaining cup tie this afternoon, between two fairly even sides, Wisbech starting the better just didn’t have the legs to bring on to freshen thing’s up, Fulbourn did and grew in confidence once they got back on level terms in the 1st half going 2-1 at half time. 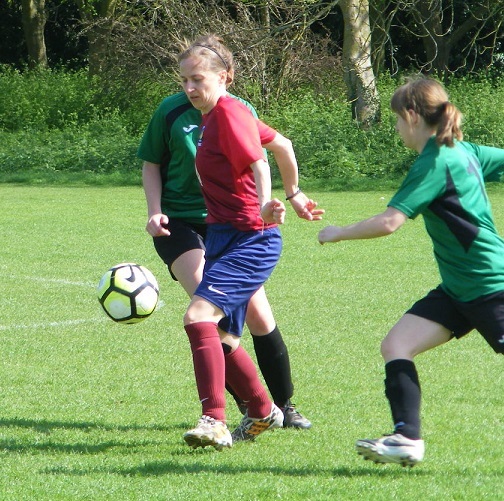 Extending the lead 2nd half, Wisbech regaining a bit of momentum pulling a goal back with 15 minutes set up a tense finish Fulbourn certainly could let their foot off the gas, win 3-2 to set up a final with Championship counterparts Histon Ladies Reserves. 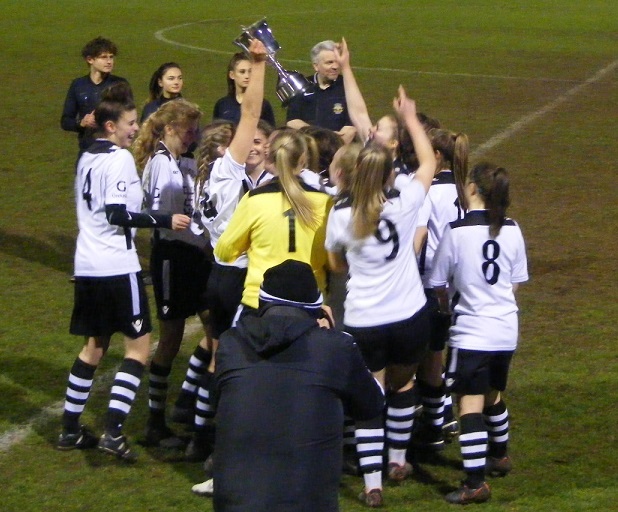 That final scheduled to take place in Thursday May 3rd with a 7:30pm kick-off at Ely City FC I will hopefully be there. Today’s Women’s Football East – Player of the Match award was another close run thing a few contenders narrowed it down to 2 as the game wore on but there can only be one as always and overall I was impressed by Jo Woods in midfield for Fulbourn covering alot of ground to win the ball back break up play and set up others ahead of her. I enjoyed this cup tie an entertaining match could have gone either way, bright sunshine too. Good to see both sides in action has been a while. My thanks as always to both clubs for the help with the team details. 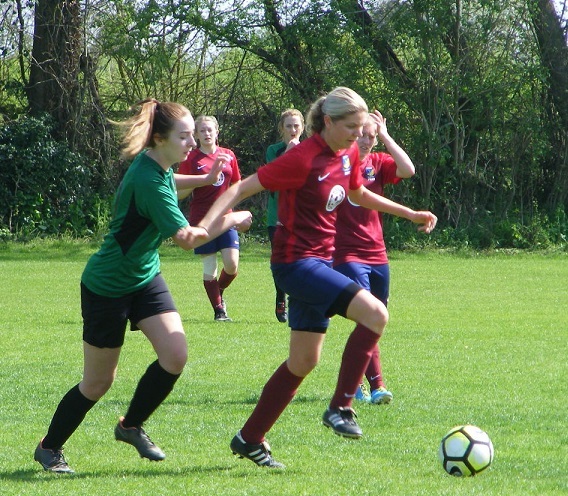 This entry was posted in Cambridgeshire Women's Division One Cup, Match Reports and tagged Cambridgeshire Women's Division One Cup, Fulbourn Institute Bluebirds, Match Report, Wisbech Town Ladies on April 22, 2018 by WFEast.